While the fact that every child is unique is well known, sadly it has not found its application in education. We still follow the age old pedagogical approach of teaching down the student in a set 'chalk and talk' format. 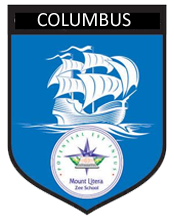 At MLZS DHR, we aim translate (Replace as Mount Litera Zee School,translates) our belief that every one of our students' is unique into a pedagogy that adopts the child's personal learning style. Understanding is different from knowledge. While knowledge relies on memory, understanding relies on conceptual clarity. Our current education system only nurtures rote learning and testing. Students cover syllabus but do not necessarily get the conceptual understanding required for application. MLZS DHR aims to apply the belief 'there is something BEYOND ACADEMICS and this is called.......REAL UNDERSTANDING'. Real understanding by every child requires an integrated approach. Enumerated in MLZS DHR's Vision and re-iterated here, a school is a micro system where different factors have a direct effect on the child. The teachers, the curriculum, examinations, the environment, the infrastructure, the activities - all come together to nurture the unique potential of the child. Some of us misinterpret 'new-age schooling' with greater infrastructure or technology enabled education. While we have ready access to all of these amenities, we also believe that these are only parts of a bigger whole. 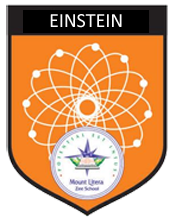 At MLZS DHR, we follow an integrated model of 'Learner Centric Education' where the CHILD is at the centre of everything we do. Our education isn't just about academics - it is so much more - its 'beyond academics'. 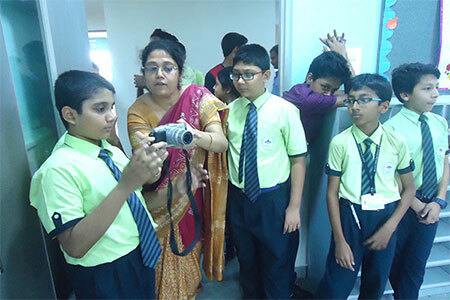 Our extra-curricular and co-curricular programs are designed to nurture the unique skills and talents of each child. From dramatics to debates, arts to music, sports to yoga and martial arts, MLZS DHR takes care of all aspects of a child's development. A weekly indulgence which the children look forward to with much joy! Creation of beautiful objects not only soothes the mind but instills a love for self expression in various ways. Pottery, masks, embroidery, fabric painting to name but a few of the decorative forms which our students' enjoy under the guidance of our specially trained Art and Craft teachers....... trained not merely to guide but to appreciate even the humblest of efforts! "Yoga is not just exercise and asanas." Boys and girls at MLZS DHR are taught the powerful benefits of yoga. Yoga is a great way to stretch and strengthen our body, focus our mind, and relax our spirit. All MLZS DHR girls and boys are trained in self-defense. They make an admirable picture during their Karate classes held in our spacious school hall supervised by internationally renowned masters! Needless to say, the kids enjoy this activity enormously and are ever ready to run up to the hall to release a bit of their vast reserves of energy! Unquestionably the Top Draw among students! We at MLZS DHR are fortunate to have well known professionals and choreographers on our team of instructors. 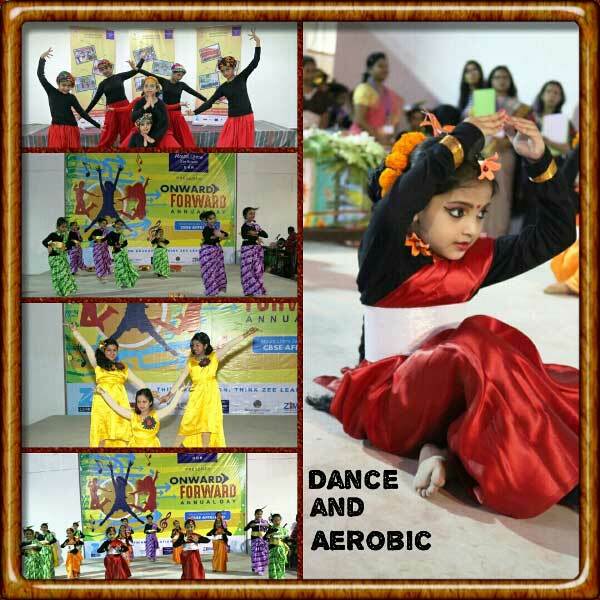 All forms of dance classes are imparted to children – classical, Indian, modern and Western. A passion for excelling in this delightfully entertaining and healthy means of keeping fit has also encouraged our children to compose their own little dances which have brought home Prizes for our Trophy Shelf! 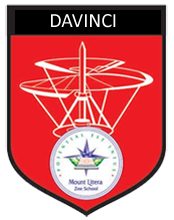 The school has its own play field and hosts an array of facilities for both indoor and outdoor games including football, basketball, carrom, chess, table football, darts and several other games of intellectual ability. There is a large indoor hall area for recreation during adverse climate conditions and rainy season. 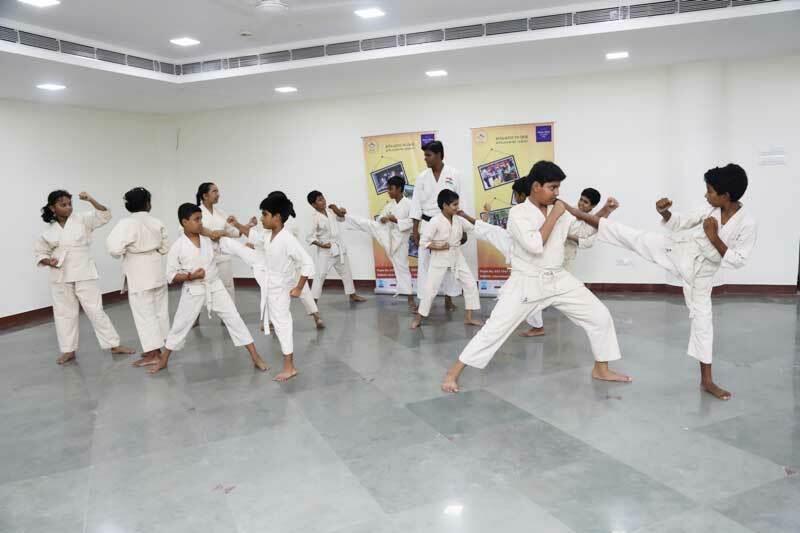 Besides, special coaching in Martial Arts of Karate & Judo is provided under the expert guidance of an experienced coach. 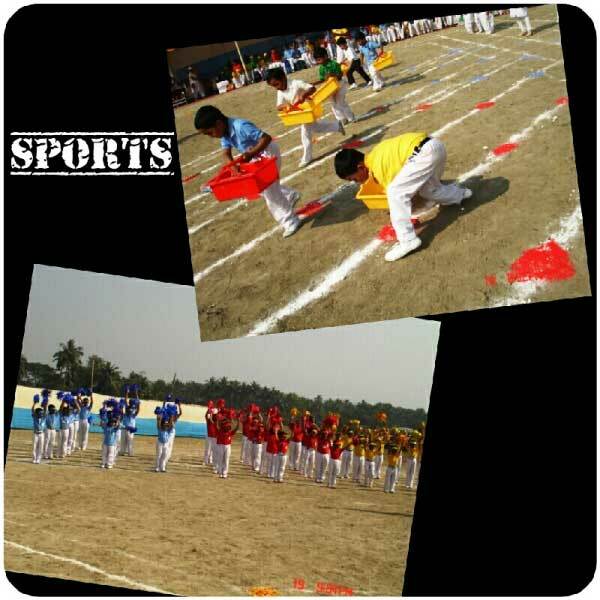 There are regular competitions in which the students of the school participate alongside other schools. All of us know how young children and older ones alike love music! What all of do not realize is that there is a strong correlation between early language skills and music - as a group activity, music encourages children to listen and learn words, and sing them to a rhythm. As a memory boosting exercise it cannot be praised enough! 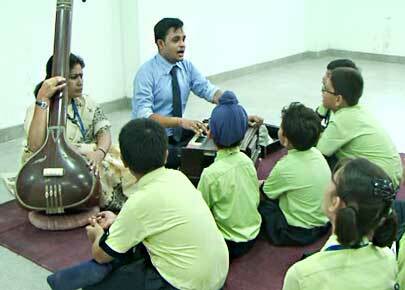 English songs, Rabindra Sangeet, Bhajans,both Eastern as well as Western music is enjoyed by our children. 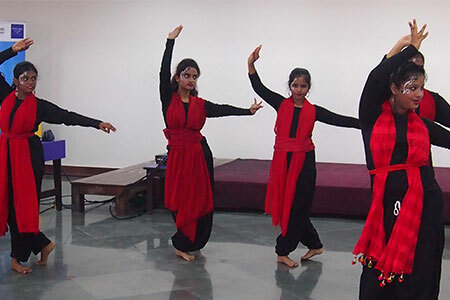 Specialist teachers skilled in their art, train the children initially through fun songs and jingles and then progress to a higher level of voice training. 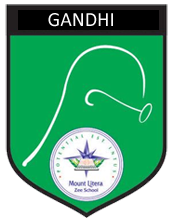 All students are divided into one of the HOUSES to give them a sense of belonging and to cultivate a spirit of healthy competition amongst them. Regular inter house events ensure that the excitement of House Pride, support and participation encourages every child to give of his her or his best in both scholastic as well as co - scholastic events. House points are entered after each event and the winning house is presented with the overall trophy on Annual day! Christopher Columbus was an explorer and trader who crossed the Atlantic Ocean and reached the Americas on October 12th, 1492 under the flag of Castilian Spain. He believed that the earth was a relatively small sphere, and argued that a ship could reach the Far East via a westward course. Christopher Columbus is one of the best-known of all explorers. He is famous for his voyage in 1492, when he discovered America while he was looking for a way to sail to Asia. Columbus had this strong courage of conviction to pursue his dreams against all odds with a strong sense of perseverance. Gandhi was a gentle man who had a heart full of compassion for people, animals and nature. He believed in non-violent resolution of conflicts and devoted his life to peace and to making the world a more just place. Through his actions, leadership and willpower, he managed to inspire Indian people to join in his non-violent protests and together they freed India from British rule. He possessed limitless physical and moral strength. Gandhi was a person who believed in the dignity of man and left us all a legacy of ahimsa, love and tolerance. He developed a method of action based upon the principles of courage, non-violence and truth called Satyagraha. He believed that the way people behave is more important than what they achieve. Leonardo was known as the ultimate Renaissance man because he was perhaps the most widely talented person ever to have lived. Da Vinci is a favorite with the children studying art history because of this Renaissance quality – not only was he a consummate painter and sculptor, he was a great inventor, military engineer, scientist, botanist and mathematician. Leonardo was left to himself quite often, and perhaps this solitude is what we’re still grateful for five centuries later, as he spent his days outdoors studying birds, plants and nature. Leonardo grew up to be a great artist and a great scientist. He was one of the first artists to draw things exactly as he saw them in nature. His keen sense of observation is what shaped him as the best painter of all times. Albert Einstein was a thoughtful person; he loved to think about things. As a boy, he constantly wondered what made things work. Albert would think about electricity and be amazed. Once when he was sick, his father gave him a compass. Albert was mystified when his father told him that the needle of the compass would always point to the north. This started him on the path of questing for scientific knowledge. Albert’s father explained that there were magnetic forces that drew the needle to the north pole of Earth. Albert Einstein was a great man, and he was very important to science. We should learn from him that no matter what field you enjoy, you should stick with your desire. We should learn that it is OK to think differently than other people. Quite the Magic Word among the student fraternity! Truly, education takes on a whole new dimension with the introduction of "CLUBS" on the regular School Curriculum. Not only does participation inculcate a spirit of healthy competition but offers an opportunity to members to imbibe qualities of leadership and managerial skills at a very young age. Photography Club The goal and purpose of the club is to involve students who have an interest in digital photography and show an appreciation for what photography can say. 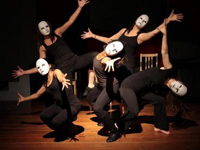 Drama Club is designed for students who love to act and perform. All students with theatrical talent, artistic ability, or interest in staging are welcome to participate. Science Club is the place for students who are interested to learn about all scopes of science from chemistry to physics to the environment. IT Club teaches technology skills and gives students a sense of belonging. 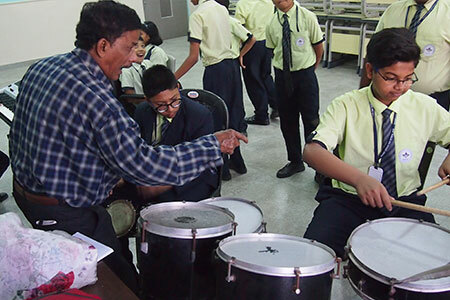 It gives them the chance to expand their skills and to do creative projects. Music & Dance Club The club provides a platform to all budding dancers and musicians of the school. 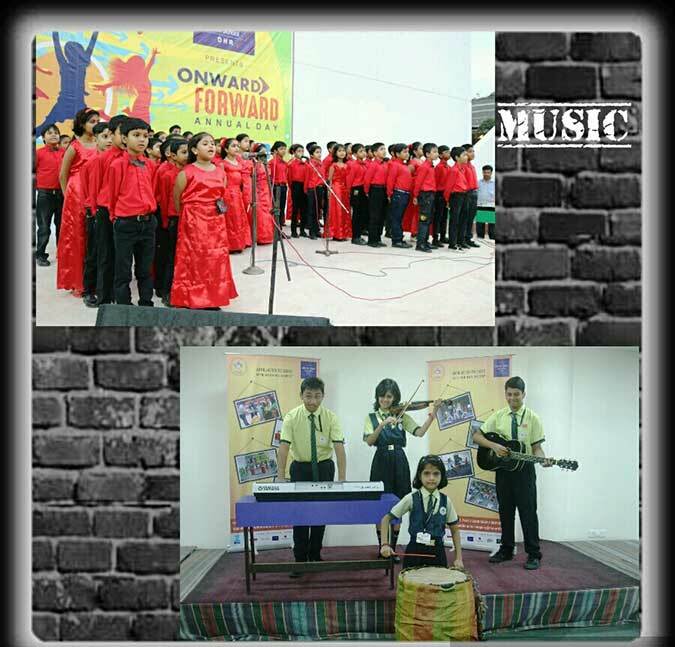 It is devoted to enhance the hidden talents of students. 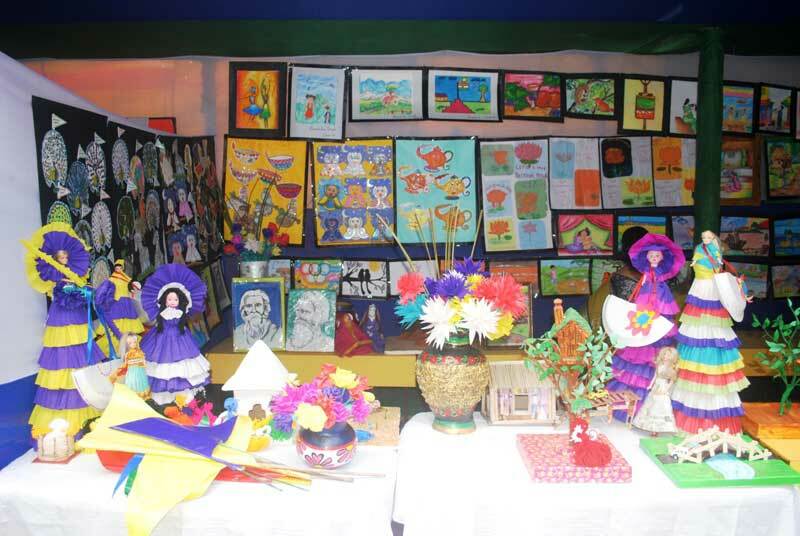 The club is responsible for the cultural programs on different occasion. 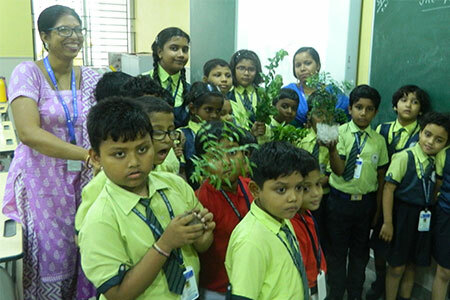 Eco Club plays an important role in creating environmental awareness amongst the future generation. It provides a platform to get knowledge about environment, its related concerns and solutions. It creates powerful advocates for conservation of natural resources and limiting waste. Cookery Club aims to encourage students to experience a joy of cooking using a range of techniques with a variety of recipes. The club also gives the students confidence and knowledge about food preparation, cooking and presenting. The highlight of our Co-curricular Planner is the universal appeal of the activities - selected for their rich influence upon young minds on the threshold of emerging maturity. 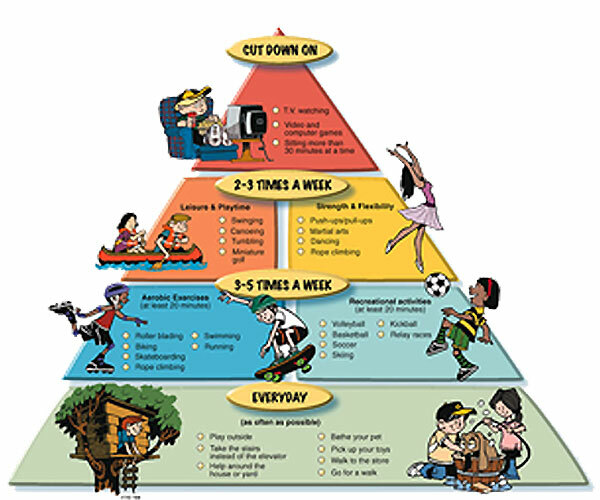 They are carefully designed and planned to supplement the academic growth of the child. Well known Plays in a simplified form are read out to the children during this time. They are then made to act out small portions of the given play. 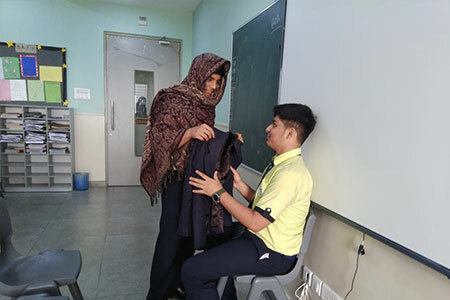 Children enjoy acting out scenes not only from Plays but also from lessons they might have learnt during Moral Science class. 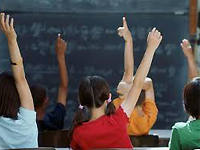 For the beginners, teachers help the child to understand the rules of debating. They are then guided into carrying out a small research of the topic given. Nothing like a good speech to boost one's confidence! MLZS DHR kids thoroughly enjoy this wonderful form of keeping abreast of news and information! From the Daily Morning question shot during Assembly to the full-fledged Quiz, every member of the Club is kept busy with harvesting interesting material for self-education. 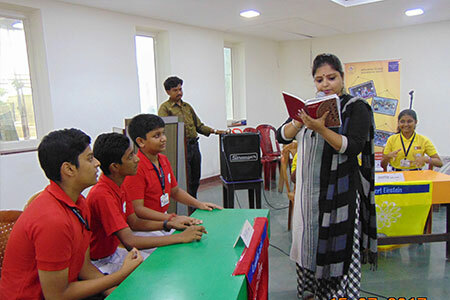 Both in English as well as in the vernacular, our students are trained in the art of good elocution. Attention is paid to details such as voice modulation and pronunciation. 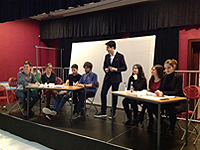 The Pieces selected for elocution are carefully studied by the teachers for appropriateness and interest factors.